I put my business first. I put my health second. I got sick. I got well. I got smarter about my health. 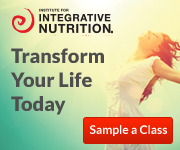 I re-framed what happened, made healthy changes and reclaimed my life. Now I write, lecture and teach other women- and a few good men- not to make my mistakes and to learn from my lessons. I have found new success doing what I love in a new purposeful and powerful way. Does facing a setback and learning to rebound sound familiar to you? I tell people it took losing my breasts to find my voice. I also found my gift- the ability to use my voice for change, for advocacy and to lead. Before 2009 I led a delicious life hobnobbing with famous chefs, dining in all the great restaurants, drinking amazing wines around the world and running a successful culinary events and PR agency, M. Young Communications. We produced high impact events and promotions for big names like Bon Appetit Magazine, Wines from Spain, Les Vins Georges Duboeuf and Consorzio Brunello di Montalcino. And then there was this program called The James Beard Foundation Awards- the culinary world’s “Oscars.”- which I helped start in 1990 and ran as Awards Director until 2007. Pretty awesome, right? You bet! The thing is….I was working myself to death. I was stressed for success, running myself ragged. I ignored all the signs that my body was in a state of chronic inflammation even though the signs were evident: the the belly bloat, gastro-esophageal reflux, irritable bowels, strange rashes and itchy skin, tighter clothes and popping buttons, and a feeling that my system was off. I just plowed ahead wishing it would all go away and doing nothing to make it happen. Then the shiitake hit the fan…. On a business trip to Tuscany (to drink wine for two solid weeks!) I found a lump in my left breast during a self-examination. When I returned to New York, where I live, my ob-GYN said to get a core biopsy immediately. The diagnosis was stage 2A breast cancer. One note: I was very diligent about having annual mammograms. My last one was about nine months before my diagnosis. I had three carcinomas in all. the breast had to go. So did the cancer. I did my due-diligence, interviewed and selected a team of doctors and learned to listen- for once- to my body and their guidance. Surgeries included a double mastectomy, reconstruction with silicone implants and a prophylactic oophorectomy to remove my ovaries and Fallopian tubes after I tested positive for the BRCA2 genetic mutation. 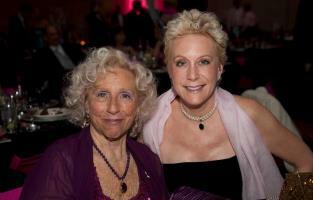 There was no history of breast cancer in my family. But, my beloved Dad, Mel Young, died from metastasized prostate cancer shortly after my second breast surgery and about four weeks before I started chemotherapy. The heartbreak of losing my father to cancer while I was in the thick of it myself was a third wound to my chest. It turned out I probably inherited my genetic mutation from his side of the family. His mother had pancreatic cancer. Dad had prostate cancer and melanoma. They are all related to BRCA2. Bingo! Vowing never to give up or give in to cancer, I plowed ahead with the same resilience and detail I dedicated to my business. I pestered my doctors with questions and made checklists to stay organized. I kept working full time at my company with a very supportive staff. After all, getting sick is very expensive even with the best health insurance plan. David, my husband of just two years, was my rock. 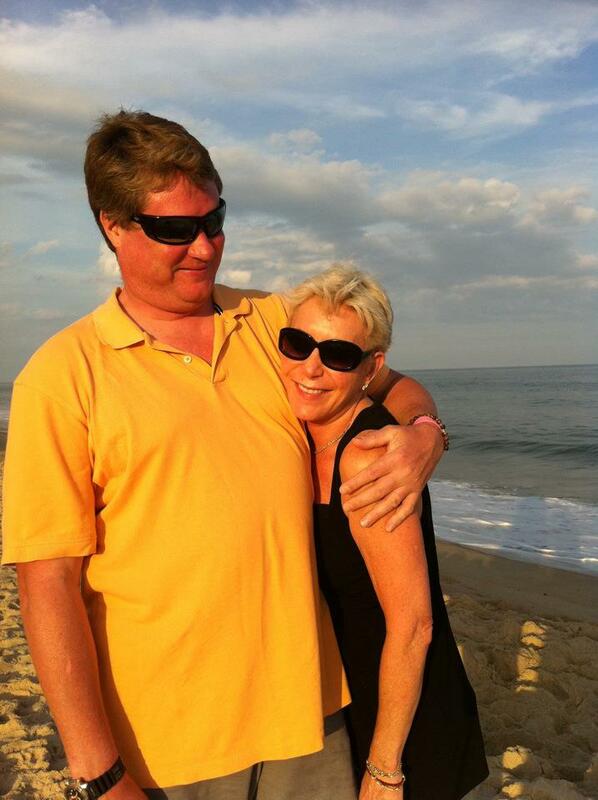 He was both my caretaker to make sure I ate and rested and my gatekeeper to let friends and family know how I was doing and make sure our clients didn’t know what was happening. Having cancer didn’t scare me to death but the possibility of my clients deserting me if they found out I had cancer scared the daylights out of me. Sadly, clients can be fickle. In the end it didn’t really matter because I closed my company about a year after I completed treatment. My priorities changed. I put myself and self-health first. I no longer wanted to work with that level of stress. I turned to reinventing my life to live it on my terms starting with doing what I love which is using my gift for communicating to use my experience to inspire others. I also changed how I took care of myself through diet, exercise and relaxation both during and after treatment. I believe food is both nourishment and medicine and you are what you eat. Before cancer I lived to eat well and dined out almost nightly. After cancer I eat well to live well and cook at home more. This restaurant-going food and wine professional took up cooking with a focus on eating lean, green, whole and clean. Daily exercise (walking, Pilates, dance therapy and eventually yoga) helped rebuild my body and strengthen my mind which was frail from chemotherapy. I called my mantra for clean living: “hydrate, gyrate, masticate and meditate.” Today, I am leaner, stronger, more energetic and overall healthier. 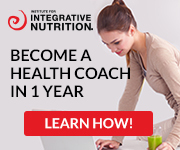 Now, as a certified health health my goal is to help others achieve better mind-body strength and happiness. I started a blog, Getting Things Off My Chest. It inspired me to write my first book, Getting Things Off My Chest: A Survivor’s Guide To Staying Fearless & Fabulous in the Face of Breast Cancer. I knew my book was different and provided the information newly diagnosed women wanted and needed in a easy to understand way, and provided handy tips and checklists for every stage of the journey. I knew because that kind of book did not exist for me when I faced cancer. I wrote my second book, Fearless Fabulous You! Lessons on Living Life on Your Terms, because the healing journey wasn’t want I expected or as easy to navigate as I had hoped. It takes time to heal. You don’t just bounce back. As I spoke with survivors around the country, they shared their fears and concerns about feeling stuck and still a bit lost in their new normal. I wrote this book to help people boost self esteem, reframe challenges and setbacks and embrace change without fear. In a final move toward a healthier life, David and I moved out of New York City to live full time in our house in the bucolic Hudson Valley. We cook more, sleep better and balance low-key country living with city visits. Life is a journey and not a race. Before cancer I was a globe trotting world traveler who galloped through life. After cancer, I still love the journey, but I have learned to slow it down to a happy trot and savor it more. There’s only one finish line for all of us at the dead end of the road of life. What’s the hurry? Melanie Young knows how to face challenges with grit, grace and wit and re-frame them to make things happen for the better. She a motivational muse for anyone who feels stuck and who wants to reignite their personal or professional brand and she is a living example of turning stumbling blocks into stepping stones. 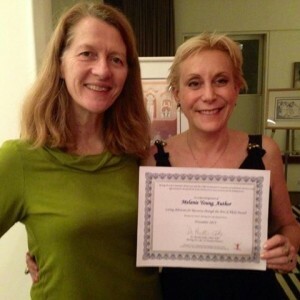 After surviving breast cancer, Melanie wrote her first book, Getting Things Off My Chest: A Survivor’s Guide to Staying Fearless & Fabulous in the Face of Breast Cancer (Cedar Fort Inc./2013), to help newly diagnosed women stay focused and make smarter choices about caring for their well-being during and after treatment. Getting Things Off My Chest received both the 2014 International Book Award and USA Best Book Award for Cancer Health topics. Melanie’s second book, Fearless Fabulous You! – Lessons on Living Life on Your Terms (Cedar Fort Inc./November 2014) is filled with inspirational insights to recharge your spirit and revalue your self-worth. 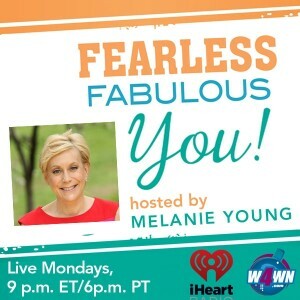 Melanie hosts a national radio show for women: “Fearless Fabulous You!” airing Mondays, 4p.m. ET on W4WN.com Radio – The Women 4 Women Radio Network, presented by Talk 4 Media and Talk 4 Radio. 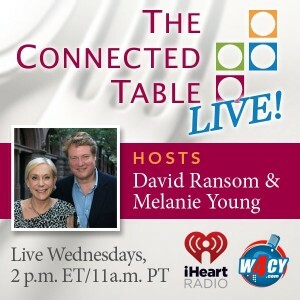 With her husband, David Ransom, she co-hosts “The Connected Table LIVE” Wednesdays 2pm ET. on W4CY radio. Both shows are available on demand at iHeart Radio and the iHeart App. Melanie is active in many organizations and charitable efforts to support women’s health, education and careers. She recipient of the Handcraft Heroes Breast Cancer Awareness Award and the Caring Advocate for Recovery Through the Arts Award. 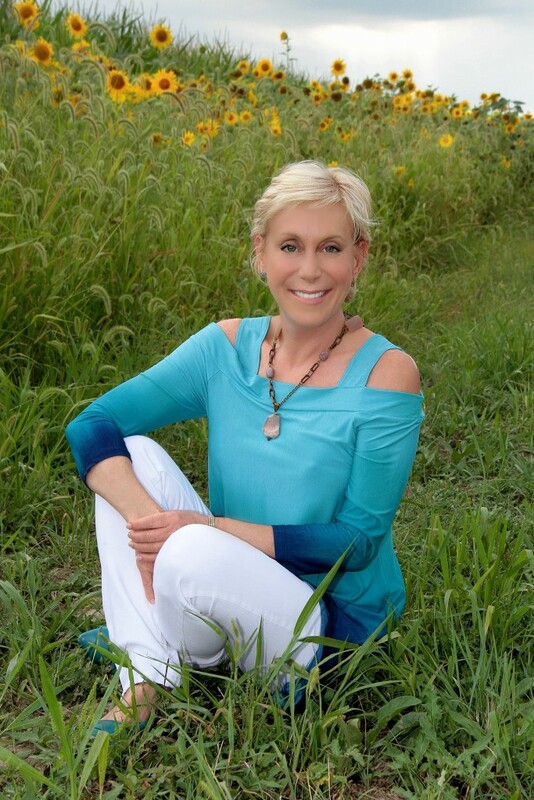 Her articles have appeared in Huffington Post, MindBodyGreen, Breast Cancer Wellness Magazine and Everyday Health. Professional Background: Melanie turned her passion for wine, food, connecting people and supporting inspirational causes into a successful marketing and events business. As “chief connector” for The Connected Table®, she advises wine, food and lifestyle companies and organizations on building their brands and strengthening their message. During her culinary career in public relations and special events she developed and managed The James Beard Foundation Awards and New York Restaurant Week, and produced multi-chef tasting events to raise money for City Harvest, Make A Wish Foundation, SHARE, Central Park Conservancy and many other charitable causes throughout the U.S.
“Being CEO of Your Health- Why It Matters and What It Takes. Background: Melanie is from Chattanooga, TN, Both her parents are published authors. Her mother, Sonia Young, is known as Chattanooga’s “Purple Lady.” Her late father, Melvin A. Young, was a Civil War historian who authored four books on the subject. He was also a wine educator which sparked her professional interest in wine. Melanie fell in love with food in New Orleans, where she graduated with a Bachelor of Arts in International Relations from Sophie Newcomb College (now Tulane University). She began her journalist career writing feature articles for the Chattanooga News-Free Press in high school. But, the lure of the big city drew her to Washington DC and then Atlanta where she launched her public relations career. She moved to New York in the mid 1980s and opened her public relations agency, M. Young Communications, in 1989. Melanie’s agency was recognized for producing some of the food and beverage industry’s most influential and community-driven programs. Melanie is passionate about animal rescue. She and David are parents to a small, spirited three pound male Maltese rescue dog, Sazerac (named after the official cocktail of New Orleans). Follow @sazeracsays on Twitter and Facebook. 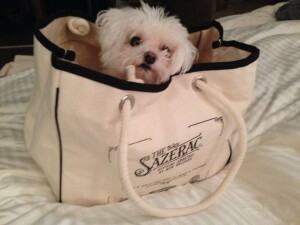 Sazerac was rescueed from a puppy mill. Please support animal rescue and let’s close all puppy mills. They reside in New York’s Hudson Valley after living for many years in Manhattan. In addition to her writing, speaking and consulting work, Melanie received certification as a Health Coach from the Institute for Integrative Nutrition and attended the Harold P Freeman Patient Navigation Institute.